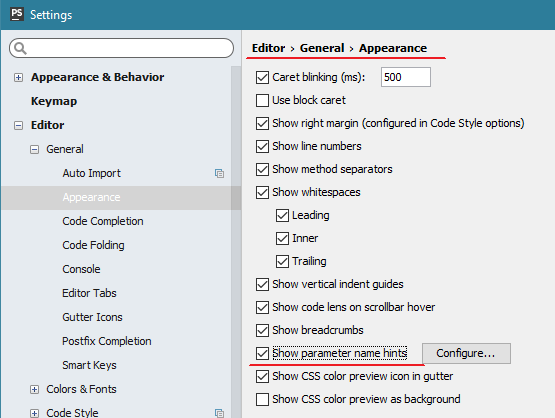 How to disable parameter name hints in PhpStorm? Is there any way to disable the hints? Not the answer you're looking for? Browse other questions tagged phpstorm or ask your own question. 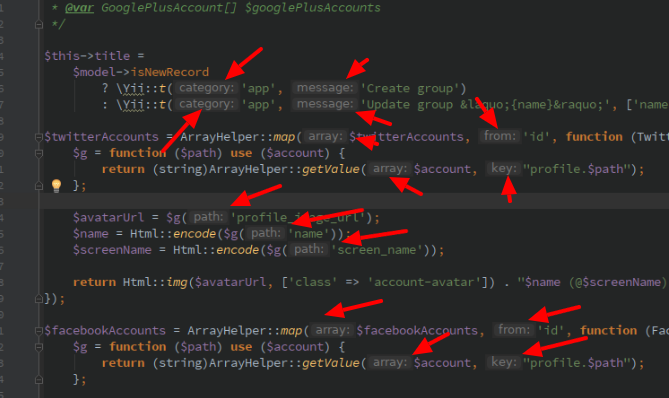 Where to change the colors of a function's parameter hints for WebStorm / PhpStorm? How to make phpstorm display line numbers by default? How to disable version control in phpstorm? How to turn off Parameter Hints on parameter name in PhpStorm 2017?